This is a special pack of Naipes Inca made for Hoechst Karidium tranquilisers in c.1973. The jokers, backs and the box have been customised specially for Hoechst. The motif on the Ace of spades is the same as in Naipes Guarany. 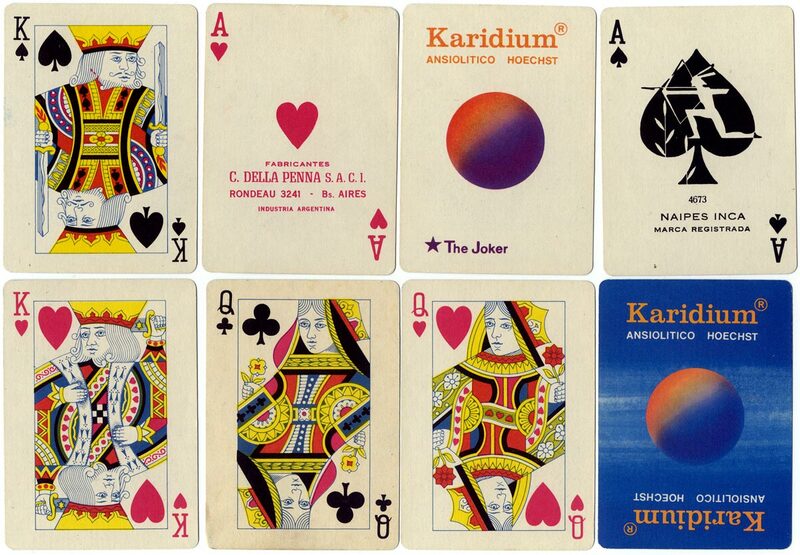 The court cards are based on the designs of Piatnik, after Goodall. The company name is given as C. Della Penna S.A.C.I. and there is no tax stamp on the Ace of hearts.